A little-discussed circular of the Securities and Exchange Board of India (SEBI) to protect investors’ interests has got brokerage houses worried about its practical ramifications and how it will affect individual traders and investors. To bring clarity and accountability into a client-broker relationship, SEBI had issued a circular that described a new model agreement on 3 December 2009. As part of that agreement, brokers have to return the money lying in clients’ accounts “at least once in a calendar quarter or month, depending on the preference of the client.” This was an important step in investor protection since a major cause for disputes between brokers and clients has been the misuse of funds by broking firms. In 2007 and 2008, many customers woke up late to the fact that the balance in their accounts dwindled to nothing after brokers merrily traded with their money, backed by a power of attorney. According to market players, many brokers have not implemented this decision of returning the money once a month/quarter within the current quarter (ending 31st March). Brokers have not contacted them about their preference either. If they haven’t, they have just one day left to completely return the money. One investor told us that neither the broker has contacted him about it, nor is he demanding the money back. Clearly, it is certain that his money will not be returned by 31st March, which is required as per the circular. Indeed, if the SEBI circular has to be taken seriously, brokers have to ask clients to square off their derivatives trade and also refrain from buying in the cash market. Apart from this short-term issue, there are other practical problems of following this circular. 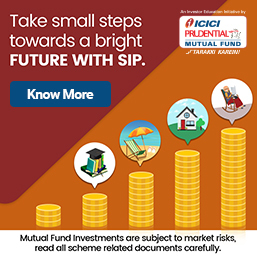 According to one broker, even though the SEBI circular does not specify a fixed date of settling a client’s funds, the exchanges have interpreted this to mean that every client will have to specify a fixed date per month/quarter when his account will be fully settled. This means that the client will not be able to trade (especially in derivatives) for a few days until his account gets fully funded again after fresh transfer of funds. The other aspects of SEBI’s 3rd December circular will go a long way in creating investor confidence—especially since brokers have not handled clients with due fiduciary responsibility. Among the laudable changes is a mandatory document wherein the broker will have to make clear the policies and procedures regarding refusal of orders for penny stocks, imposition of penalty/delayed payment charges by either party and the right to sell clients’ securities or close clients’ positions, without giving notice to the client, on account of non-payment of dues by the client. Interestingly, among the changes that SEBI has insisted in its 3rd December circular is that all documents shall be printed in minimum font size of 11. 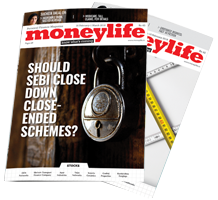 When Moneylife contacted SEBI, sources told us that they are looking into the issue. Meanwhile, BSE Brokers Forum members are discussing various matters regarding the circular today at the BSE. The members will be discussing SEBI’s norms on know your customer (KYC) and the Prevention of Money Laundering Act (PMLA) requirements, among other issues. any solution for sebi December 2009 circular on transferring funds back to client accounts. client have facing the problem his sebi circular or any format for stop this problem. Brokers uses clients fund to facilitate other clients:- I dont find it a problem since as a client I am never refused if I have money in my trading account. My recommendation is written approval from the client every month for the trading balance and the trades executed. Nobody will benefitted with such types of TUglaki Farman's of SEBI's albele Shands. Niegter Client , Adviser or AMC and Mutual Funds Industry. No body is work for anybody without any geting somthing. Mata bhi apne Bekar bache se jayada kaihn thode bahut kamane bale bache ko jayada pyar karti hai. How come MONEYLIFE could NOT make all wake up for over A YEAR !!! Even 24 hrs early is SOMETHING better than NOTHING. This should be emphatically followed up to its logical conclusion, by MONEYLIFE, in the days to come, IN THE INTEREST OF ALL PLAYERS IN THE FINANCIAL MARKET for transparency. This circular is long overdue. Brokers live because of client money. Their undercapitalisation will stand exposed. In fact most brokers live off client money float with themselves. To oblige fat cat clients who do not pay up in time. Fat cats give brokerage, but drain cash. IL&FS Transportation Networks (ITNL), which got listed on the National Stock Exchange today, has said that it is eyeing revenue of Rs1,300 crore from road and transport projects over the next three years. “We have orders worth Rs12,000 crore till date and will be executing them over three years. We are eyeing Rs1,300 crore revenue from these project orders,” ITNL managing director, K Ramchand, told reporters on the sidelines of the listing ceremony here. “We will continue to maintain our growth at 25% in the next three years,” Mr Ramchand said. ITNL is one of the leading private sector build-operate-transfer (BOT) road operators in India. The company is engaged in the development, operation and maintenance of national and State highways, roads, flyovers and bridges across India. “We want to diversify into the urban infra space on the railways side. In our current portfolio we have completed eight projects and 11 are under construction,” Mr Ramchand said. “We have received a 4.8-km metro rail project at Rs 1,000 crore in Gurgaon and will start construction work in the next two-three months. We will complete the project within three years,” he said. ITNL also plans to foray overseas, Mr Ramchand said, adding that the company has received a 300-km road work order worth $1.5 billion from Kazakhstan. “We will start construction work in the next four-five months in Kazakhstan and will complete the project within three years. We expect more mega-project orders from both domestic and overseas markets in FY11,” he said. The company plans to bid for at least six-eight mega projects worth around Rs4,000 crore in the next three months, Mr Ramchand said. ITNL raised Rs700 crore from the capital market and will use the net proceeds to repay its debt and also for expansion. “The company has around Rs1,000 crore debt and plans to repay Rs550 crore from the proceeds and (the) balance would be utilised for our expansion plans,” he said. ITNL listed today at Rs287 on the Bombay Stock Exchange, a gain of 11.24% over its issue price. On the National Stock Exchange, the stock listed up 3.35% at Rs266.60. Land acquisition for the Mumbai-Vadodara Expressway, which now gains more importance due to the planned connectivity to the Mumbai-Pune Expressway, is likely to begin soon. The land acquisition is likely to be completed in the next six months. “The feasibility report for the Mumbai-Vadodara Expressway has been almost completed and the land-acquisition process is likely to start soon. Ideally, we should complete the land-acquisition process within (the next) six months,” said DO Tawade, project officer, National Highways Authority of India (NHAI). The study to connect the Mumbai-Vadodara expressway to the Mumbai-Pune expressway has been completed. Both of these expressways are likely to connect beyond a point near Panvel, Navi Mumbai. However, the final details of this connectivity and its positioning will depend on the final approvals which are required. The 400 km Mumbai-Vadodara expressway will be developed on a public-private partnership (PPP) model similar to all other NHAI projects awarded in the recent past. This six-lane expressway project will assume added significance once it is connected to the Mumbai-Pune Expressway. The NHAI official also stated that work on the development of three more national highways in Maharashtra will start soon, as the request for quotations (RFQs) for these projects are expected within this month.